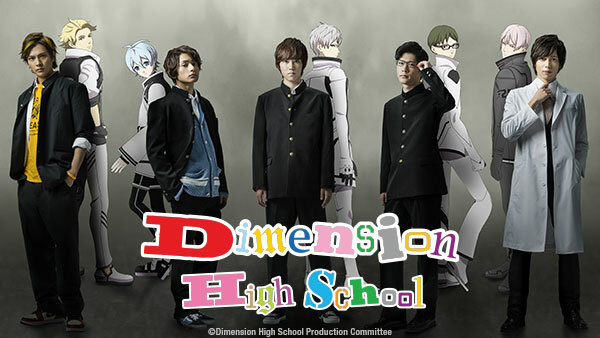 Sign up now to stream Dimension High School, subs, tons of dubs, OVA's, simulcasts, plus the all new Dubcast℠ editions and more! Ryusei’s friends will have to challenge Sphinx Dictis again if they want him to go back to normal — and they REALLY want him to go back to normal. It was just a rock. How was Junpei supposed to know it could talk? Now his classmates and teacher find themselves in another world facing a Sphinx? What is this, an anime? Tsuyoshi and Yurio have been friends ever since Yurio saved his life. But now? Tsuyoshi feels there’s something his friend is hiding and asks Junpei for help. They failed. As a result, one of their own no longer exists. To prevent this from happening ever again, they must now sharpen their minds. Ryusei terrorizes the gardening club with demands for a specific plant. Junpei decides to help since, long ago, he and Ryusei used to be friends. Why are they so distant now? What is Tsuyoshi’s master plan to help Junpei and Ryusei get along? Basketball! Soshi has grave concerns regarding the Sphinxes’ endgame. If that wasn’t enough, he’s also hiding an important secret from the others. Soshi’s students start digging into his past. Who is Shiro and what happened ten years ago? The Black Sphinx is a formidable foe. With the puzzles growing harder, the situation becomes grimmer. How will the group cope with this development? There was one famous riddle the Sphinx was known for, but there’s a new twist to the old classic. Here’s another riddle: Who is Spudio?